GETTING MARRIED BY THE WATER? WHY NOT! 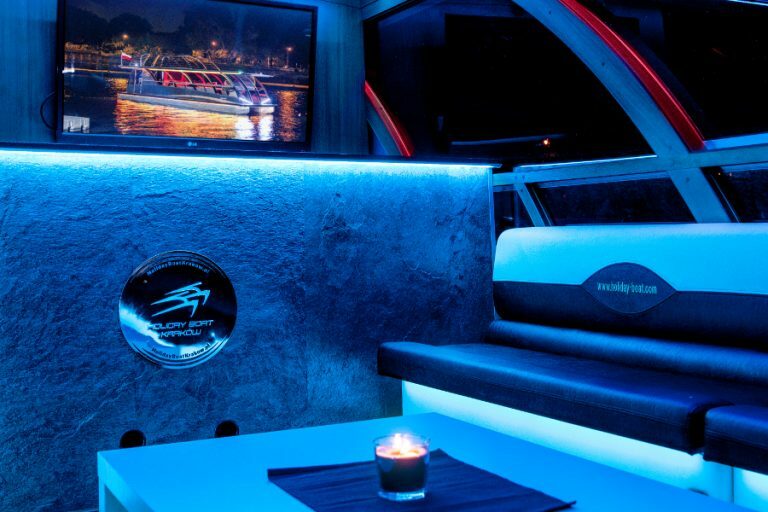 Intimate wedding on a yacht of Holiday- Szczecin gives the possibility of organizing a wedding that holds up to 25 people on board of catamaran. You choose the convenient localization and your dream scenery – we can also organize a cruise around Szczecin. We adjust the possibilities on client’s request and thanks to that we can, among others, provide your wedding with a professional DJ, PhotoBooth, any catering and bar with finest alcohols. Spend your special day in an intimate way, among the closest guests and enjoy your happiness on board of our luxurious yacht. Business meetings give the possibility of making the business deals away from the company office and urban rush. It can turn out worthwhile to invite your key contractor to this special place where, in easy going atmosphere, you will be able to discuss the key business issues in your further cooperation. 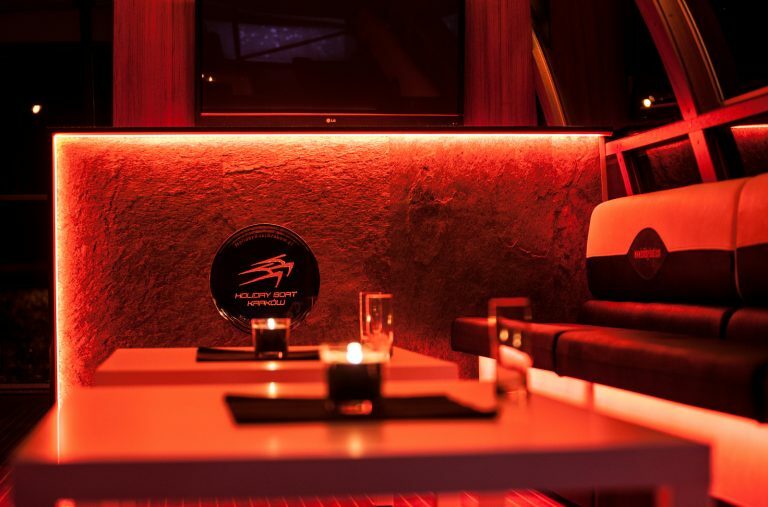 Business meetings on yachts organized by Holiday Szczecin are a combination of luxurious cruise and enjoyable dinner. The offer includes adjusted to the occasion menu, bar for guests, music and lighting. On board there is a place for smokers and a toilet. Intimate business meeting on a yacht is a mix of prestige, active rest and relax. Organization of those parties on yachts is a really unusual entertainment in Szczecin. Guest have two decks at their disposal: lower one that has heating system as well as the air conditioning with places where you can get some rest and the upper deck where you can admire the beautiful panorama. 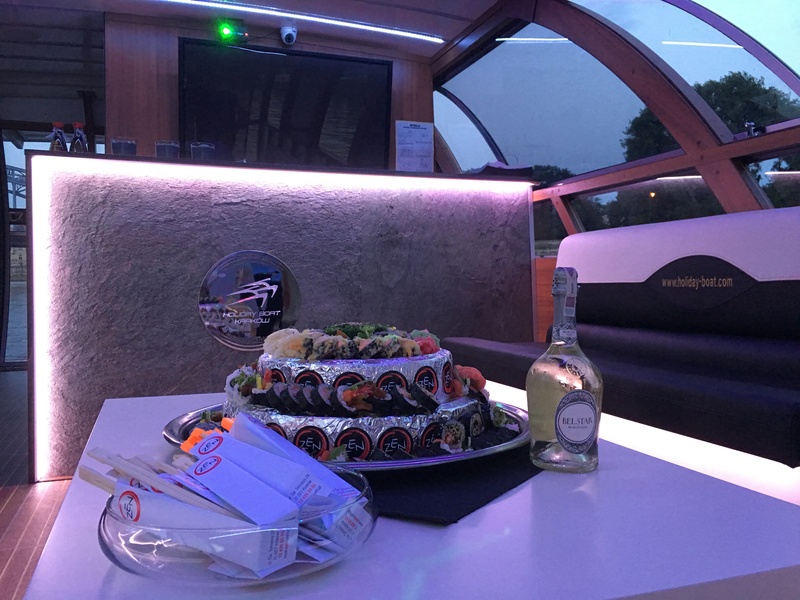 Bachelor, hen and birthday parties on board with Holiday Szczecin is an opportunity of having a climatic cruise during the night joined with a great fun! What is more, considering the special circumstances we guarantee an unrepeatable course of events. Events on the yacht are unforgettable fun, pure joy and a dose of positive emotions. We guarantee mega fun till the crack of dawn, respecting the safety principles at the same time. We can personalize the event according to client’s preferences end expectations. The number of places on one catamaran is dependent on the type. If you want it to be the sailing one, the amount of guests cannot be higher than 25. If you want it to be the stationary one, then the number goes up to 30 people on board. 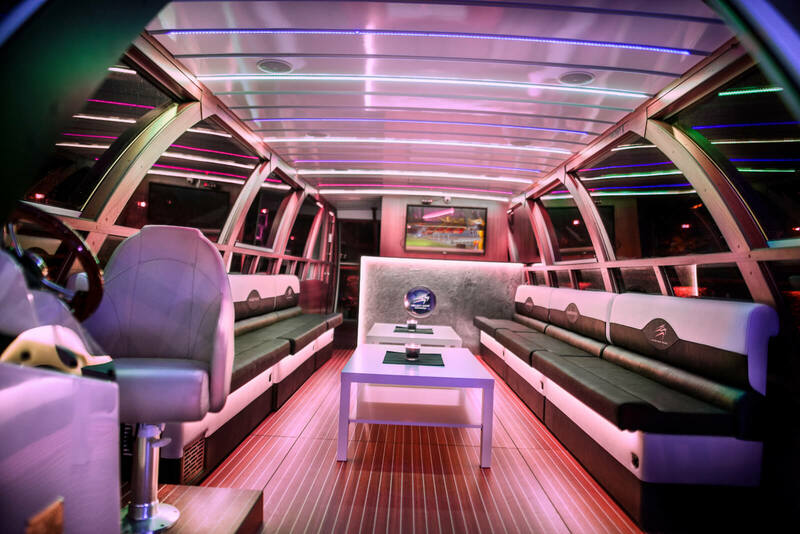 The parties organized on a yacht are extraordinary solutions for events. Let us surprise you and have an unforgettable adventure in an atmosphere of luxury.